Worlds without end: In reviewing the known exoplanets astronomers have identified more than a hundred giant exoplanets located in the habitable zone that might harbor habitable moons. Scientists have speculated that exomoons might provide a favorable environment for life, perhaps even better than Earth. That’s because they receive energy not only from their star, but also from radiation reflected from their planet. Until now, no exomoons have been confirmed. Using this new database scientists will optimize future instruments on both the ground and in space to look for and study the moons circling these exoplanets. Astronomers have successfully initiated operations of a new radio telescope dish, the first ever located in Greenland. The Greenland Telescope is a 12-meter radio antenna that was originally built as a prototype for the Atacama Large Millimeter/submillimeter Array (ALMA) North America. Once ALMA was operational in Chile, the telescope was repurposed to Greenland to take advantage of the near-ideal conditions of the Arctic to study the Universe at specific radio frequencies, collaborating with the National Radio Astronomy Observatory (NRAO) and MIT Haystack Observatory. They have also linked this radio telescope to others across the globe, helping to increase the resolution of any data these radio telescopes gather as a unit. The coming dark age: The scientists at the Max Planck Society in Germany have written two letters criticizing the institute for its lack of support and its willingness to bow to animal rights protests. It appears the scientists have followed all the rules, and have acted reasonably, but the longtime director of one of the Society’s main research divisions, Nikos Logothetis, was still indicted for the death of one monkey. The struggle began in September 2014, when a German television channel aired footage taken by an undercover animal-welfare activist who had infiltrated Logothetis’s lab, purporting to show mistreatment of research monkeys. Death threats and insults to Logothetis and his family followed — and in 2015, Logothetis decided to wind down his primate lab and replace it with a rodent facility. Events came to a head on 20 February this year, when Logothetis was indicted for allegedly violating animal-protection laws, after an animal-welfare group made complaints to police on the basis of the 2014 footage. Logothetis denies the charges. A trial date has not yet been set. …The indictment follows contradictory judgements about Logothetis and his work at the MPI-Biocyb. Immediately after the September 2014 documentary was broadcast, an external specialist appointed by the MPS leadership found no welfare violations at MPI-Biocyb. But two months later, the German A﻿nimal Welfare Federation, a non-profit organization in Bonn, filed multiple complaints with police about animals at the institute. In August last year, a local judge in Tubingen dismissed all but one charge; for that charge, allegedly delaying euthanasia in three rhesus monkeys, the judge offered an out-of-court settlement, which Logothetis accepted. But in October, prosecutors in the state capital, Stuttgart, overturned the settlement decision. They pursued the delayed-euthanasia case against Logothetis and two other staff members, who have not been publicly named, leading to their indictment in February. Logothetis says that the decisions about whether and when to kill the monkeys, which contracted infections after surgery, were appropriate and complied with the law. Veterinary staff attempted to treat the infections, he says, and two of the monkeys recovered. The third was humanely killed when staff decided that it was unlikely to recover. Despite this history, the Society’s management has removed Logothetis as director. It has also made the research division he headed persona non grata, causing harm to the other researchers who work there. In response the scientists have submitted two different letters lambasting the actions of the Society, signed by dozens of its scientists. Noori is one of four MPI-Biocyb scientists who spoke to Nature about the situation. Their criticisms are echoed in the two letters: the first, sent in December, was signed by 54 scientists; the second, sent in February, was signed by 94, a majority of those who work with animals at MPI-Biocyb, says Noori. The February letter describes “an extremely distressful situation” that “has seriously compromised our working conditions”. In other words, even though the evidence strongly indicates that Logothetis followed the rules and did not act with malice towards the primates in his care, the Society has caved to the animal rights protesters. This is the present, and the future. Someone with an ax to grind, usually from the left, will make a complaint, and everyone will bow to them out of cowardly fear, no matter how baseless or unproven the charge. Science research will stop, free speech will end, and an oppressive shadow will fall upon western civilization. An evening pause: History is filled with little tidbits that are quickly forgotten, but fascinating in context nonetheless. 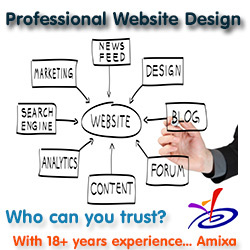 Link here. The author focuses on the “Never Trump” wing of the Republican Party, individuals who have completely abandoned any pretense that they stand for conservative values in their no-holds-barred opposition to Trump, even when he does things they should like. [T]he main point these [Never Trumpers] whom we have no choice but to refer to as former conservatives miss is that in our political system the choice is still binary. Other conservatives may not like Trump but they understand that the voters preferred him in no small measure because they were sick of the clubby elitism that characterizes the anti-Trump alliance. It is that clubby elitism of Washington — and the bankrupt incompetent government it has given us — that most offends the voters who went for Trump. Trump’s actions since his elections, though imperfect for sure, have confirmed the wisdom of this choice. It has also revealed the fake conservatives in the Republican Party who clearly prefer that clubby elitism above any effort that might try to fix the problem. Cool image time! The high resolution camera on Mars Reconnaissance Orbiter (MRO) keeps finding recent impact craters, all of which the science team try to monitor periodically to see how the surface evolves over time. The image on the right, cropped to post here, is one such crater, the image taken in January 2018 and released with as one of the captioned images from this month’s image catalog release. If you click on the image you can see the full picture. What is notable about this particular impact are the colors. Those colors of course have importance to researchers, as they reveal the different materials found beneath the surface at this location, normally hidden by surface dust and debris. 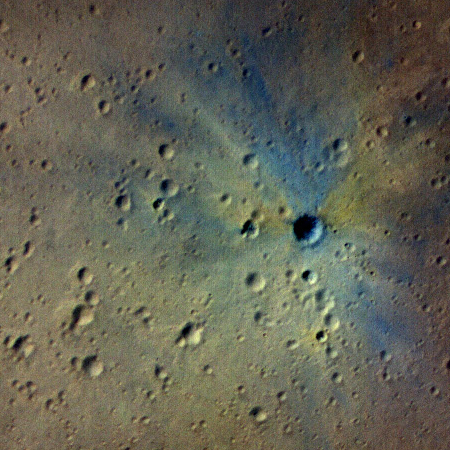 Nor is this the only impact crater revealed in this month’s image release. Earlier in the month the science team highlighted an image that captured two small impacts. While all three of these impacts are in the general region called Elysium Planitia, they are not particularly close to each other. They are however surrounding the landing site for the InSight lander now heading to Mars. This last link takes you to my January 28, 2018 post detailing some information about this landing site, and also includes another recent crater impact, found at the center of the landing zone. It is not clear if these recent impacts are related to each other. As noted by Alfred McEwen of the science team, “Often, a bolide breaks apart in the atmosphere and makes a tight cluster of new craters.” It could be that all these recent impacts came from the same bolide, which is why there appear to be a surplus of them in Elysium Planitia. Then again, our surface survey of Mars is very incomplete. 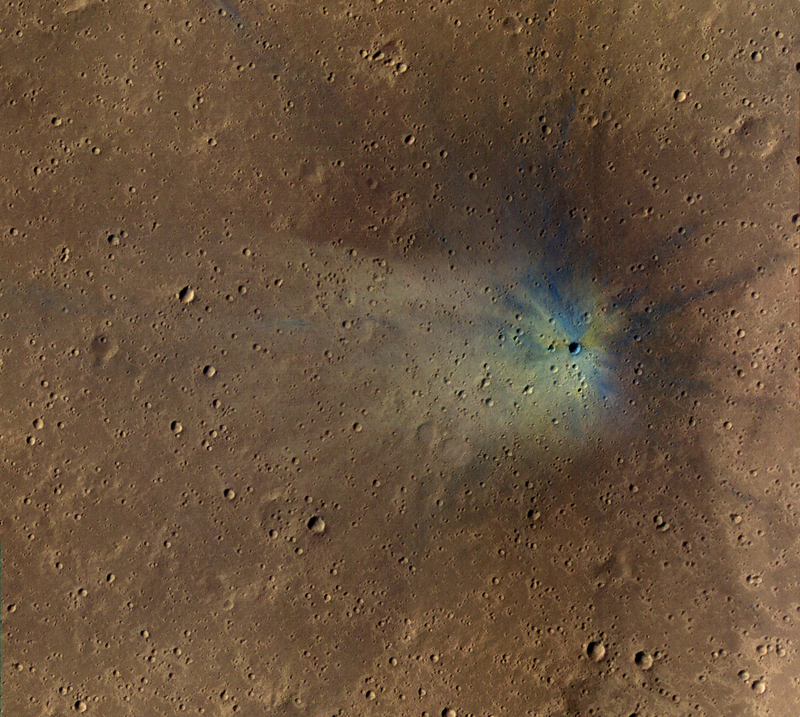 These impacts could simply be marking the normal impact rate for Mars. We will not know until we have completed a detail survey of all recent impacts on Mars, and have been able to date them all. New Chinese regulations on what is acceptable recycled trash is causing trash companies throughout the U.S. to send the recyclables into the trash heap. Economic realities always rule. The problem is when people create fantasies that have no connection with those rules. The United Nations and China have signed an agreement whereby UN member nations can apply to run experiments on China’s space station, due to become operational in the 2020s. The UN press release states that it is especially interested in applications from developing nations. This isn’t a surprise. China is following the approach of the Soviet Union under Leonid Brezhnev during the 1970s and 1980s, using its space station program to generate positive international propaganda. This will also give them an opportunity to obtain technology ideas from other nations. At the same time, this will force China to become more open with other nations, a side effect of Brezhnev’s space station program that was not expected or even wanted by the Russians at the time. According to one story in the Russian press today, the Russian space industry, run by Roscosmos, is expected to experience more budget cuts due to a shortage of funds. The Russian federal space program might face cuts as the Roscosmos state corporation is likely to suffer funding shortages amounting to 150 billion rubles (almost $2.4 billion) in the next three years, a source in the industry told Sputnik. “The shortages of budgetary funds planned for allocation to Roscosmos from the previous parameters for the next three years is about 150 billion rubles … the lack of funds has already become a reason of delays in the development of interplanetary projects, slowing down construction of the second stage of the Vostochny Cosmodrome and the development of new rocket and space equipment,” the source said. The shortfall almost certainly comes from a lack of international launch customers, most of whom have shifted their business to SpaceX because of the quality control concerns in the Russian aerospace industry. Whether Russia can regain any of this business in the coming years will depend wholly on whether they can demonstrate some reliability in their launch cadence, something they have failed to do for the past five years. Capitalism in space: Virgin Galactic’s Unity suborbital spaceship made its second powered flight yesterday, reaching Mach 1.9 and firing its engine for about 30 seconds. The official company video of the flight is below the fold. An evening pause: I’ve posted numerous evening pauses of many performances of this wonderful piece of music, here, here, here, and here. This version is very cool because it shows that even this staid and beautiful piece of baroque music can become a heavy metal piece. The summit in two weeks between Trump and North Korea’s Kim Jong Un appears back on the schedule. It appears that scheduling this meeting has in itself become a game of negotiation. We shall see what actually happens. Like rats fleeing a sinking ship: The Canadian government has decided not to fund that country’s contribution to NASA’s WFIRST space telescope project, presently expected to cost $3.2 billion total (already over-budget in the design phase) and set to launch sometime in the 2020s (don’t bet on it). The Canadian instrument would have been focused on studying dark energy, the mysterious force that is theorized to cause the universe’s expansion rate to accelerate over vast distances. I can understand the skepticism of the Canadian government. Why commit anything to a project that is already over-budget and has unreliable support in the U.S. (Trump tried to ax it, Congress restored it, for now)? The project is also so far in the future it makes more sense to spend this money on astronomy projects that could be built and used now. An evening pause: Sung live at the Lincoln Memorial in Washington, D.C. June 16, 2016. For Memorial Day. And I think the big guy in the chair behind her would approve, whole-heartedly. Story here. More details here. I bet you cannot guess correctly the country to which the headline quote refers. I also bet you think it can’t happen here in the U.S. I beg to differ. Link here. This news article is particularly informative, as it includes a map that outlines the extent of the lava flows and what they have engulfed, including the most recent flows that are threatening a geothermal power plant that has been providing the Big Island about 25% of its power. Those preventive measures included a complete shutdown of the geothermal plant, the capping of all 11 wells, and the removal of some 60,000 gallons of flammable liquid. Those precautions aside, this is the first time in history—as far as we know—that lava has ever engulfed a geothermal power plant, so it’s all uncharted territory. There’s fear that a rupture of the wells could set off an explosion, releasing hydrogen sulfide and other dangerous gasses into the environment. As of this posting, the lava flows on the PGV grounds have stopped moving. Environmentalists often promote geothermal power as an alternative to fossil fuels. Environmentalists also sued to prevent this plant from being built because of its proximity to the volcano. This is how you get Trump: Having rejected under their parliamentary system the nation’s recent election results that produced a government coalition strongly controlled by anti-European Union candidates, Italy’s president is now facing calls for his impeachment. This was the first time in the history of the Italian republic that a president had thrown out the proposal for a government from elected parties, and even critics of the populist victors have acknowledged that the Italian people will take the move as a slap to Italian voters and the entire democratic process. The bone of contention, Mattarella said in his rejection speech, was the candidate for the post of finance minister, Paolo Savona. “I have agreed with and accepted all the proposals for the Ministers, except that of the finance minister,” he said Sunday. “The designation of the finance minister always sends an immediate message, of confidence or of alarm, for economic and financial operators,” he added. Essentially he is saying that Italy’s elections are irrelevant, that no matter who the voters choose the government must be subservient to the European Union. Expect new elections to produce an even more powerful populist government, even more hostile to the European Union. China has lost contact with one of the two test cubesats that were launched to the moon with their Queqiao Chang’e-4 communications satellite. Though they continue to receive telemetry from one cubesat, without the second they will be unable to do the radio astronomy and interferometry experiments planned. The interferometry experiments would have seen the observations made simultaneously by the DSLWP/Longjiang microsatellites to be combined. The test would be verification of technology for a constellation of small, low-frequency radio astronomy satellites that would emulate a telescope with a size equal to the maximum separation between the satellites. The Chang’e-4 mission could however see some interferometry tests carried out, with Queqiao carrying the Netherlands-China Low-frequency Explorer (NCLE) astronomy instrument, and a Low Frequency Spectrometer (LFS) on the Chang’e-4 lander, which is expected to launch in November or December, following testing of Queqiao. All is not lost. The cubesat that still functions has a camera, built in Saudi Arabia, and if it takes and successfully transmits any pictures this will be a cubesat landmark, the first interplanetary images ever taken by a cubesat. Meanwhile, Queqiao Change’-4 is working as expected, laying the ground work for the launch of the Chang’e-4 lander later this year. R.I.P. Alan Bean, the fourth man to walk on the moon, has passed away at 86. After he retired as an astronaut Bean became well known as an artist depicting the exploration of space. NASA’s next Mars lander InSight successfully made its first mid-course correction earlier this week, using four of its eight thrusters for the first time. The spacecraft is now aimed for a November 26 landing on Mars. China’s lunar communications satellite Queqiao Chang’e-4 successfully fired its engines during a lunar fly-by yesterday. The maneuver sends the spacecraft into position in one of the Lagrange points beyond the Moon, where it can relay data from the yet-to-be launched Chang’e-4 lander. An evening pause: Music by Kevin McLeod. When I lived in New York and began back-packing in the 1980s I would always spend Memorial Day weekend somewhere on this trail, generally in the Catskills. I understand well what this man felt at the end of the trail. Link here. The article speaks to the problems of sovereignty, ownership, and political borders created by the language of Outer Space Treaty, specifically illustrated now by China’s newest effort to put a lander on the far side of the Moon. [This] pioneering space travel has raised concern that China is also interested in the tiny spots on the moon that never go dark, the polar peaks of eternal light. Those peaks are vanishingly small, occupying one-one hundred billionth of the lunar surface − roughly equivalent to three sheets of NHL ice on Earth. But their near-ceaseless sunshine gives them great value as a source of solar energy, to power everything from scientific experiments to mining operations. Because the Outer Space Treaty outlaws any nation from claiming territory, it provides no method for any nation, or private company, to establish its borders or property rights. To protect what they own nations are therefore will be forced to create their own rules, willy-nilly, such as the one speculated above. And when they disagree, only the use of force will be available to either defend or defy these arbitrary rules.